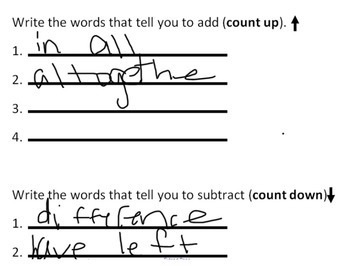 Practice/drill worksheets so students know that the + sign means to add, and - means to subtract. Also attached, practice worksheets for what words to look for in a word problem to determine whether you add or subtract. 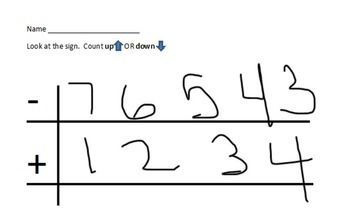 This promotes repetition which makes solving word problems more successful.